Grace has been Musical Director of the Finchley Children’s Music Group since 2001. During this time she has prepared the choir for major choral works conducted by Kurt Masur, James Levine, Richard Hickox and Sir Colin Davis as well as for large-scale events such as singing with Madonna at Wembley for Live Earth. With FCMG, Grace has premiered choral works by James Weeks, John Pickard, Richard Sisson and Ian Stephens. She conducted the London premiere of Michael Finnissy’s opera Mankind, and the premiere of Malcolm Singer’s opera The Jailer’s Tale staged at the artsdepot with FCMG and the Yehudi Menuhin School Orchestra, with further performances at The Menuhin Hall and the Southbank. Grace has worked on other collaborative projects with FCMG, conducting Terry Mann’s score for Common Dance choreographed by Rosemary Lee for Dance Umbrella, and most recently on Carl Davis’ Last Train to Tomorrow at the Roundhouse, conducting a subsequent concert performance on Holocaust Memorial Day for BBC2. Grace made her BBC Proms debut with FCMG in 2004, conducting the children’s chorus in a performance of Britten’s War Requiem with the LSO. In the same year she released a Christmas disc with FCMG, Bethlehem Down (Naxos), to critical acclaim. Current projects include a recording of works commissioned by FCMG to mark the choir’s 60th anniversary in 2018. 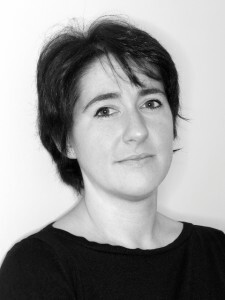 Actively involved in community music making, Grace has directed a number of London based orchestras and chamber choirs, and has been Musical Director of Finchley Choral Society since 2007. FCS has thrived since her appointment, performing favourite works including Bach Christmas Oratorio, Rachmaninov All-Night Vigil, Orff Carmina Burana and Brahms Ein deutsches Requiem, as well as lesser-known choral gems including Holst Hymn of Jesus, Kodaly Missa Brevis, Jonathan Dove The Passing of the Year and the premiere of Richard J. Harvey On the Beach at Night commissioned by the choir in 2011. In addition to her work and a vocal coach and choral trainer, Grace also works as an arranger and composer in collaboration with her husband Stephen Jeffes. She conducted the premier of their large-scale unaccompanied work The Elements, written for the BBC Singers and 500 young singers from Harrow Schools, at the Roundhouse in 2013. Her arrangement of The Angel Gabriel was recorded on FCMG’s disc Bethlehem Down, and was later recorded by the BBC Singers, for their series of modern British carols for Radio 3’s Breakfast programme. She has recorded for Naxos, film, radio and television, and has performed throughout the UK, Europe and Australia.